Volume 1 of our Behaviors! 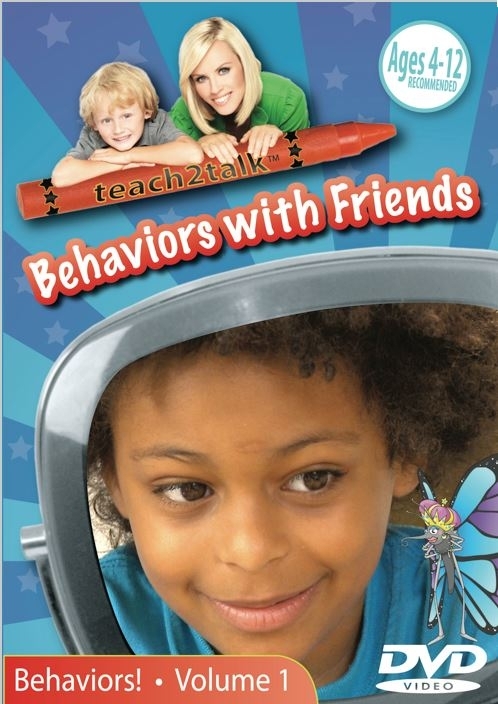 series, Behaviors with Friends, uses targeted video modeling to help teach your child how to behave appropriately, solve problems, make good decisions and properly communicate with their friends and other peers in common social scenarios and settings. Behaviors with Friends also includes a segment for parents, which uses video examples to give you advice on how to help your child learn appropriate, positive behaviors on your own. For younger children, who might have difficulty knowing not to imitate the negative behavior models, a version is included that features only the positive behavior models. CAUTION: Because younger children, or older children with developmental delays, may not understand the distinction between the appropriate models used in the video, which should be imitated, and the negative models, which should be avoided, we have included a version that only includes positive behavior models. If your child doesn’t understand the difference, he or she may not learn the lessons as effectively, or even worse, may start imitating the negative behavior models! Accordingly, if you have any question about your child’s ability to properly distinguish between the positive models and the negative behavior models, you should only use the included version that features only positive behavior models. Behavior issues are a common complaint from parents. Parents need strategies to help teach their children how to behave. Behavior with Friends not only teaches children how to behave appropriately, but also provides tips to parents on how to implement their own behavior modifications. All parents want their kids to have friends. Traveling around the world, I met so many parents who said, “I don’t know how to deal with my child’s behavior problems!” So we made this video to help teach children and their parents how to resolve common behavior problems with friends. being nice to friends and not taunting, and encouraging friends who are less competent instead of teasing; and appropriate body boundaries.